Wish Fitzgerald is an African American teenager with a dream of being a golfer--in 1969 Connecticut. The nearest he can get to his dream for the moment is caddying at a country club and practicing secretly after hours. It's while caddying at the club that he meets Jackson Spears, whose wealthy father is trying to make him a golfer. The boys strike up a close, if largely secret, friendship, which ultimately crashes on the rocks of Jackson's father and the fraught race relations of the time. Both boys are profoundly affected by the experience, and over the next five decades, it continues to affect and influence them both. 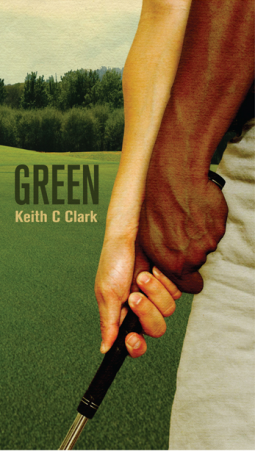 This is a golf novel, but it's also a novel of the seventies, eighties, and nineties in America, a look at race relations through a different lens, the world of golf and the on-again, off-again friendship of Wish and Jackson. They and other characters are developed effectively and movingly, yet with a light touch that has room for humor as well as deep emotion. Alice is a middle-aged woman in Austin, Texas, married to Jake Conroe, of the famous Conroe's BBQ. Their marriage is happy and fulfilled but for one glaring lack: they have no children. Surrogates failed them; adoption has failed them; at the book's opening, they've just had an especially heartbreaking failure. Baby Kellan was in their home for a day and a night when the birth mother changed her mind. Alice and Jake's different ways of coping with this latest loss is putting some strain on their relationship. Carla is a young Honduran girl whose mother has gone to the US to earn money and send it back to her family, leaving Carla and her younger brother with her own mother. When her grandmother dies, Carla, not yet twelve herself, struggles to protect herself and her brother in their increasingly dangerous, gang-controlled village. 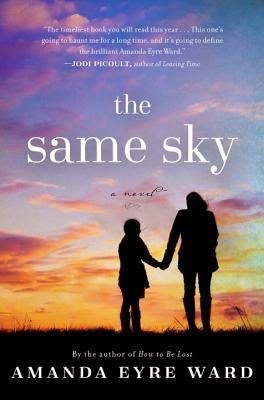 In the end, she decides she has no alternative but to take her brother on the dangerous journey to join her mother in Texas. 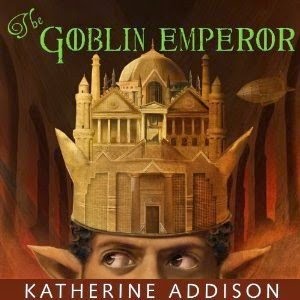 This is just a wonderful book. So wonderful I briefly imagined sending the author flowers and chocolate in thanks for it. A.J. 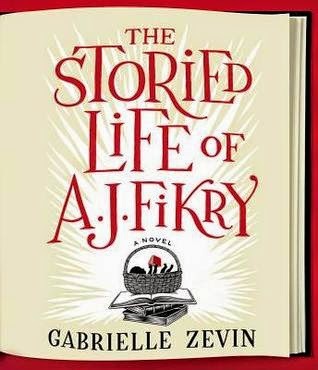 Fikry is a grieving widower, owner of Island Books, the bookstore he founded with his wife Nicole. Nicole died in a car accident about an year and a half ago, and A.J. has quietly drinking himself into oblivion. He's just thirty-nine, and it seems he and his bookstore are spiraling down. And then one more blow comes that may be too much: his one truly valuable rare book, a book he has no love for but thinks of as his retirement plan, is stolen in embarrassing circumstances. Not long after, he investigates a sound from the bookstore when it's closed, and finds a toddler, with a note from the mother saying she can't care for her daughter and wants her to grow up among books. 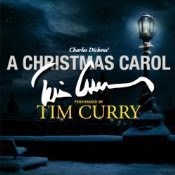 This is a great performance of a wonderful classic. I think there are few people who don't know the story: Ebenezer Scrooge, tight-fisted businessman who calls Christmas a humbug and has no use for charity or kindness, goes home on Christmas Eve, and is visited by the ghost of his dead partner, Jacob Marley. Marley warns him of the fate he has been forging for himself by caring only for business and not for other people, but promises him he has one last chance at salvation. 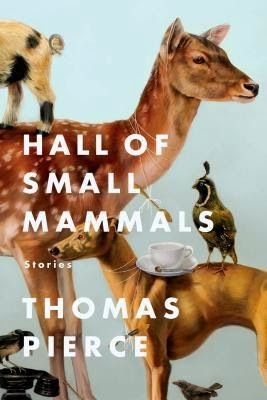 This is a collection of short stories, all of the genre that thinks it isn't a genre, literary fiction. Pierce is a good writer, and the stories are well-written. 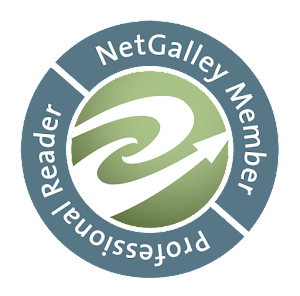 Many of the characters are even engaging; the reader cares about them and wants to know what happens. 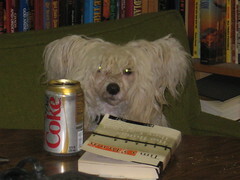 But this is literary fiction, so stories don't start in medias res and some to some sort--any sort--of a conclusion. They amble along through events and problems that are sometimes interesting, and then they end in medias res. Or rather, they stop; they do not end. We'll never know what was interesting about the Pippin monkeys, or whether the father/son relationship was at all strengthened by the camping trip, or what were the impliedly huge consequences of the sideshow operator getting the fossil creature rather than the museum. We'll certainly never know what the disease was that killed Bert's brother Rob, or where it came from. 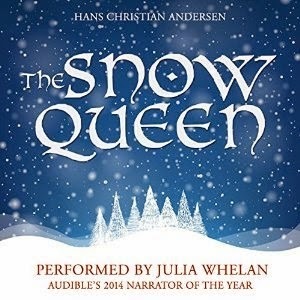 This is a lovely reading of Andersen's story of Gerda and her friend Kai, who becomes contaminated by the shards of a demon-made magic mirror, and succumbs to the lure of the Snow Queen. Gerda sees the change in her friend when he is affected by the shards, and when he vanishes, she will not believe that he is dead. She sets off on quest to find him, armed chiefly with her courage, loyalty, and good heart. This is a highly readable account of the history of atomic power as seen through its accidents and safety failures. 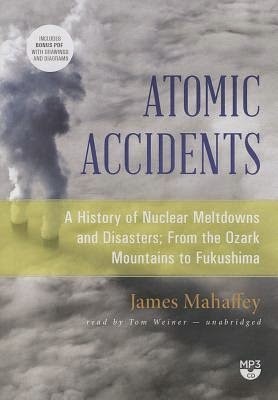 That might sound like it's anti-nuclear power, but in fact Mahaffey is a long-time advocate. His major point is that in fact significant accidents are fairly rare, and that with a few notable exceptions, serious casualties are even rarer. His account starts with a bizarre episode in the Ozarks in the late 19th century, with the accidental discovery of what eventually proved to be a radium mine. I will say that the discussion of radium and its various uses, not just for night-glow dials but its medical uses, both science-based and as "mineral water," is by itself worth the price of admission. Grace Makutsi, growing more comfortable in her position as the wife of Phuti Radiphuti, owner of the Double Comfort Furniture Company, and as partner in the No. Ladies' Detective Agency, has embarked on a new business. She's opening a restaurant, the Handsome Man's Deluxe Café. Phuti has his doubts about Grace's blithe confidence, but he loves her and supports her. Her lawyer helpfully introduced her to a chef, who goes by the single name of Thomas, and who equally helpfully knows a waiter and waitress he can employ. What could be more promising? 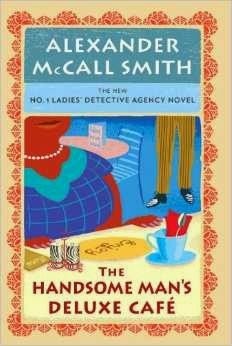 Meanwhile, Mma Ramotswe has taken on the puzzling case of a woman who has apparently lost her memory and has no idea who she is. She's been kindly taken in by Mr. Sengupta and his sister Miss Rose, owners of a very successful stationery business. Unfortunately, if she cannot prove her identity and that she is in Botswana legally, she will be sent back to South Africa. 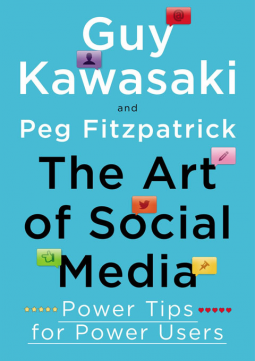 Guy Kawasaki has been in the forefront of effective promotion of products, services, and one's own skills and talents since his days as the Chief Evangelist for the Apple Macintosh, when personal computers were the exciting new toy and not an appliance we all carry in our pockets. Instead of being left behind by the rapidly changing world of online computing and social media, he has remained a leader, and has become of a great teacher of how to use the same skills and tools for your own benefit. If you have a social media presence--and it's getting harder and harder to function, especially as a working professional or entrepreneur, without one, you want to use these tools effectively. 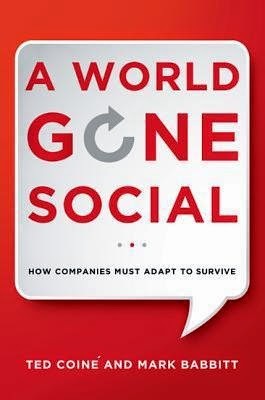 Coiné and Babbitt make the case that the future of business--any business, any industry--is social. Every company, big or small, business to business or business to consumer, must not only have a presence on social media, but an active, interactive presence. They need to make social media presence not just a marketing tool but an integral part of how the company operates, at every level and in every function. And on the "every level" point: They also maintain that the best-run, most successful companies will be those that make their organization as flat as possible, ideally so flat that only the CEO has a title, and only because that's necessary to represent the company to the government and the media. The goal of this book is to both make the case for this radical viewpoint, and to lay out the basics of achieving it.